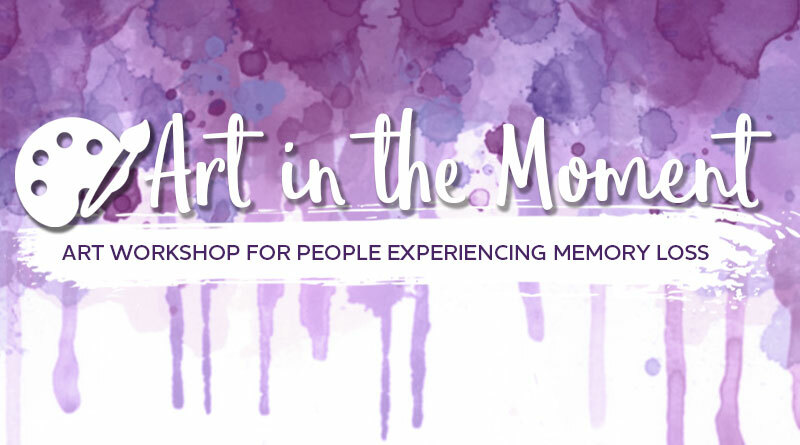 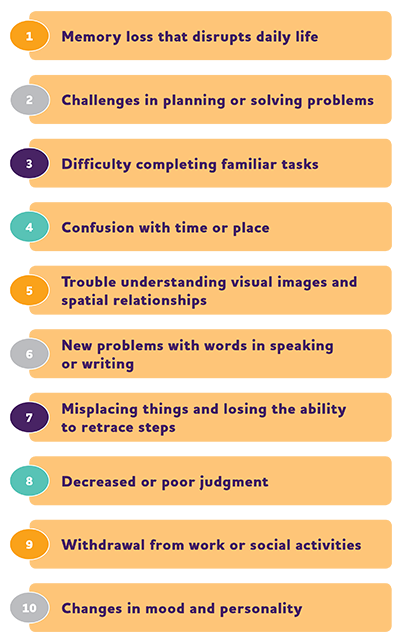 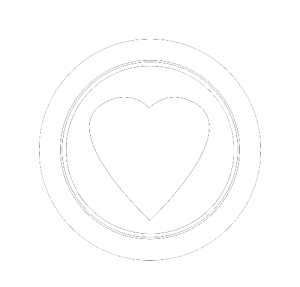 The Art in the Moment program is a six-week art workshop for people with early-stage dementia and a care partner or friend. 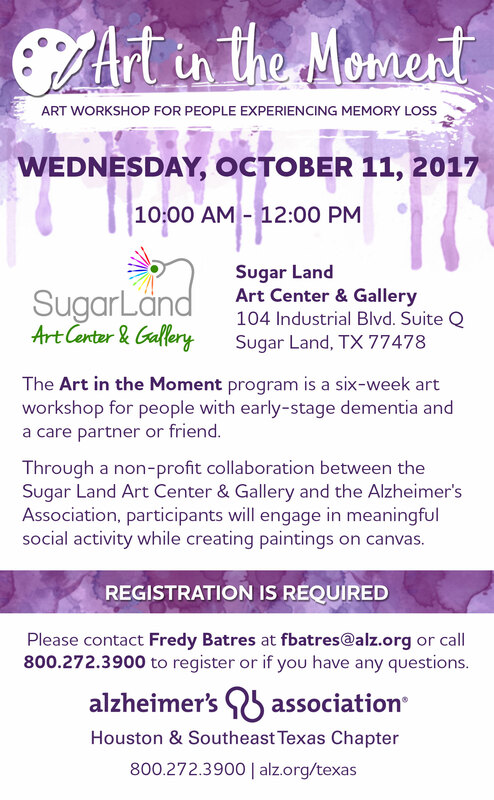 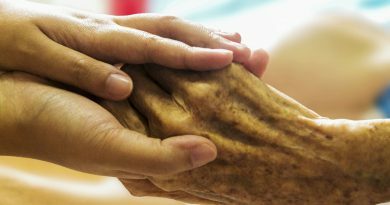 Through a non-profit collaboration between the Sugar Land Art Center & Gallery and the Alzheimer’s Association, participants will engage in meaningful social activity while creating paintings on canvas. 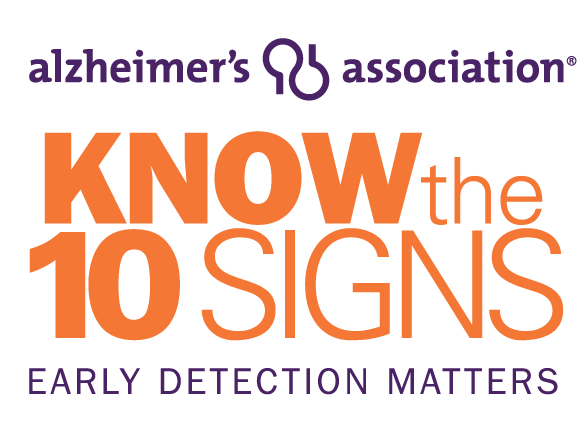 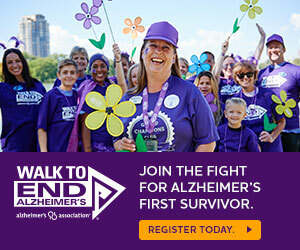 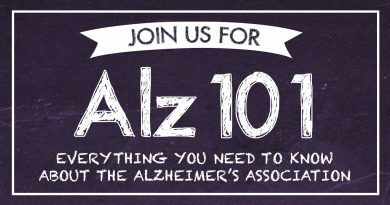 Please contact Fredy Batres at fbatres@alz.org or call 800.272.3900 to register or if you have any questions.